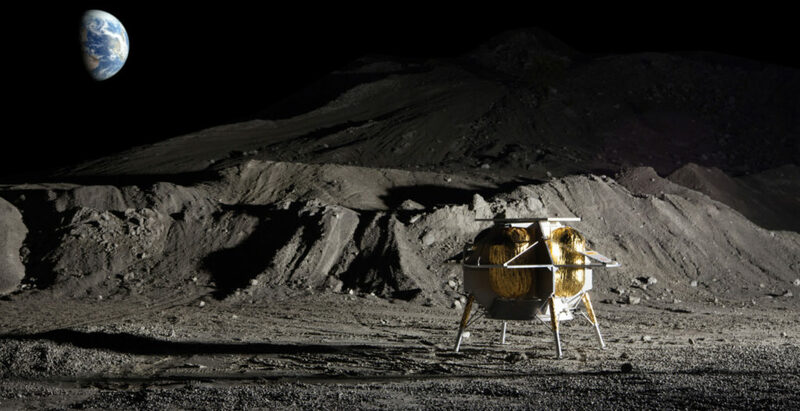 Image Credit: Astrobotic Technology, Inc.
Astrobotic has been competitively selected to be a delivery provider of NASA payloads to the Moon on the Commercial Lunar Payload Services (CLPS) contract. Through CLPS, Astrobotic will be a 10-year provider of delivery services for NASA payloads to the Moon. The selection was announced today by NASA Administrator Jim Bridenstine.